They take video with audio at standard resolution. 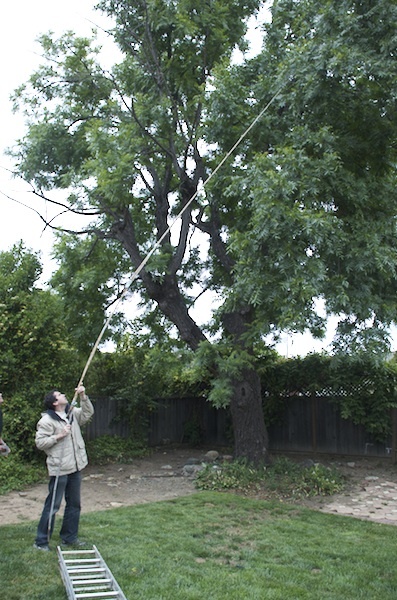 I attached mine to six helium balloons I got at Safeway and sent it up with 100 feet of kite rope to bring it back down. It's always windy in San Francisco, so the results were just a blurry mess. 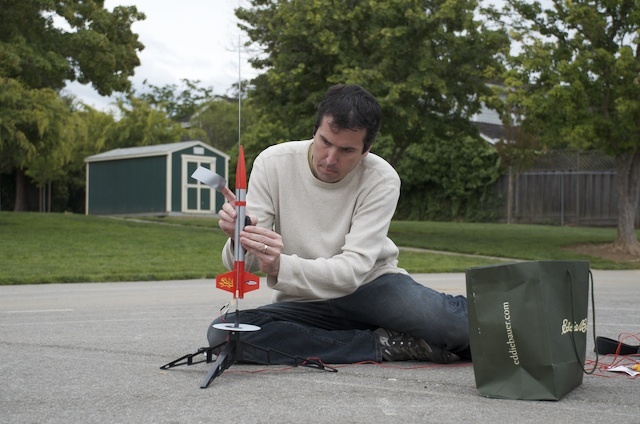 I then went to my local hobby store and bought my first model rocket, an entry-level Estes Flash rocket set ($24) and the most powerful engine you can use on it, a C6-7 engine ($3).